Thirteen contestants have entered theCulturama 42 senior pageants and competition this year in Nevis’, two contestants less than participated last year. On Friday afternoon (June 17) the senior pageant contestants paraded into Charlestown in various-colouredmini-cars asthe Sugar Hill String Band led the parade. During Friday’s kick-off,Culturama42 introduced contestants and participants competing in various categories. Only four young confirmed women will vie for the Miss Culture Crown: Phillichar Hobson, Clayticia Daniel, Xarriah Browne and Perla Gumbs.This is the first time in more than five years that four, instead of five contestants entered this category.Thejudging will take place July 31 at the Cultural Complex. Five contestants in the Miss Swimwear Competitionare: Merv-Ann Thompson, Nicola Clarke, Kyla Morton, Kimiko Liburd and Shariezelle Belle. In the Mr. Kool Competition, four participants: Monique Jeffers, Shenroy Joseph, Denville Francis and De Syl Hamilton will compete for the crown. The judging for both the Miss Swimwear and Mr. Kool competitions will be held July 26 at the Cultural Complex. Two weeks ago, Executive Director Antonio Liburdtold The Observer that it was difficult finding contestants for the competitions. He said at that time the senior pageant committee was working hard to find a fifth contestant. Liburd noted that although they had registration difficulties in the senior pageant,the rules will not be bent to allow Kittitian women to enter the show. 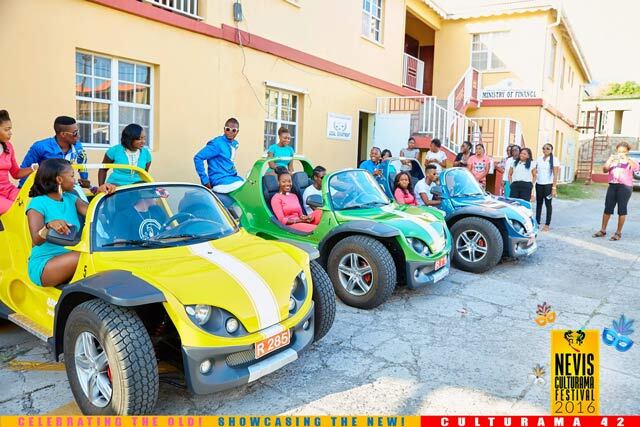 “The rules will remain the same, the Miss Culture and the Senior Calypso competition are only open to Nevisians or persons who have been living on the island for the past 12 months,”Liburd said. Contestants for the Mr. and Miss Talented Youth Pageant and their sponsors were also announced: Joycelyn Liburd Primary School,sponsored by Golden Rock Inn; Ms. T-Karli Edward and Devonte Liburd, St. Thomas Primary, sponsored by Four Seasons Resort Estates;SidondreFlemming and Tershean Wilkerson, Nevis Academy, sponsored by Manners Mobile Refrigeration and AC Services;Odecia Edwardsand AmadiHenderickson,Charlestown Primary, sponsored by The Bank of Nevis;Jahkida Ward and LyneSmithen,Ivor Walters Primary,sponsored by Grace Food Int’l/O; D. Brisbane,Azahria Islesand Rocco Browne,Maude Cross Preparatory, sponsored by National Caribbean Insurance Co.;Celina Brownand Hrishikesh Srinivasan,Elizabeth Pemberton Primary, sponsored byIndian Summer & Superior Interior; Shade Bridgeman and T’Najae Lawrence, St. James Primary, sponsored byNASPA,Malishwa Browne and Kevandre Hendrickson.